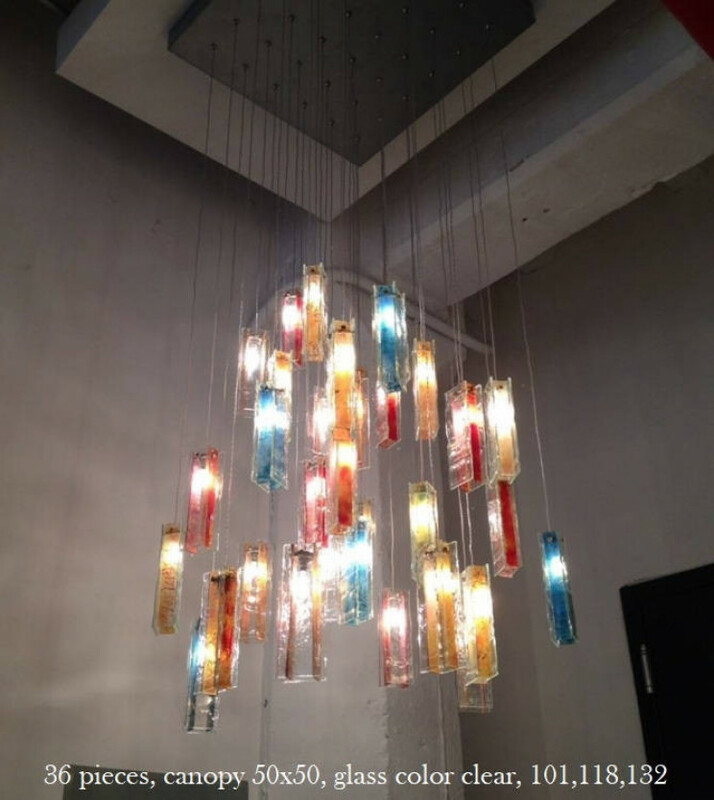 Each one of these beautiful glass chandeliers is unique because you can choose the color of the glass that is used. You can choose from 36 different colors to mix and match as you please. 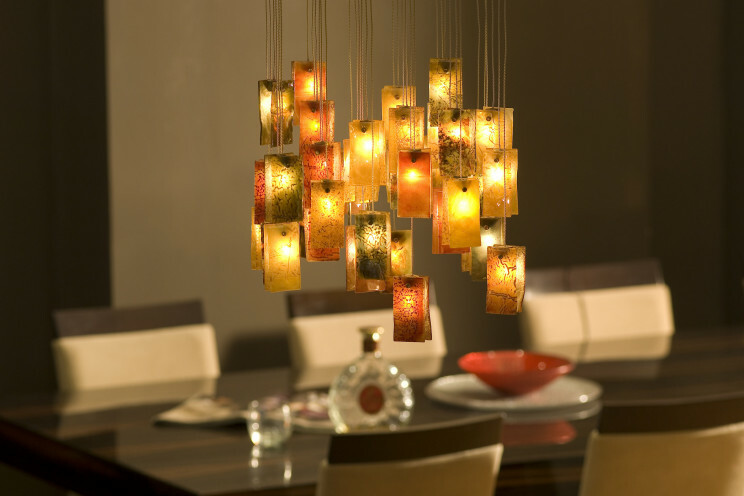 This is a wonderful way to create a lighting fixture for your home. 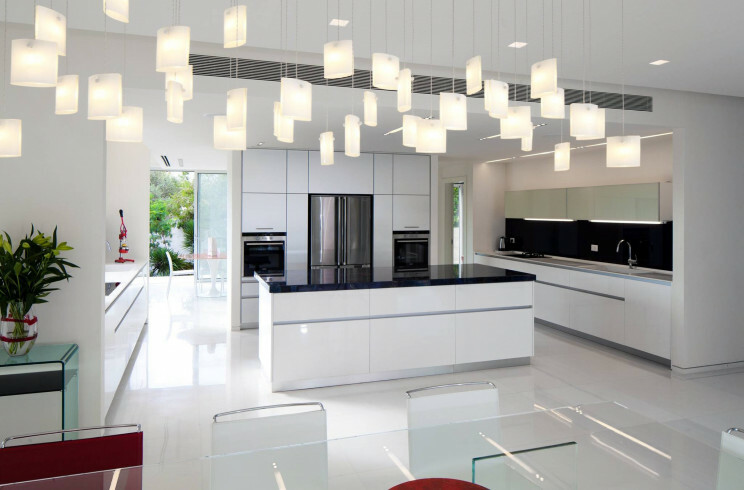 You can select colors that match your decor perfectly. 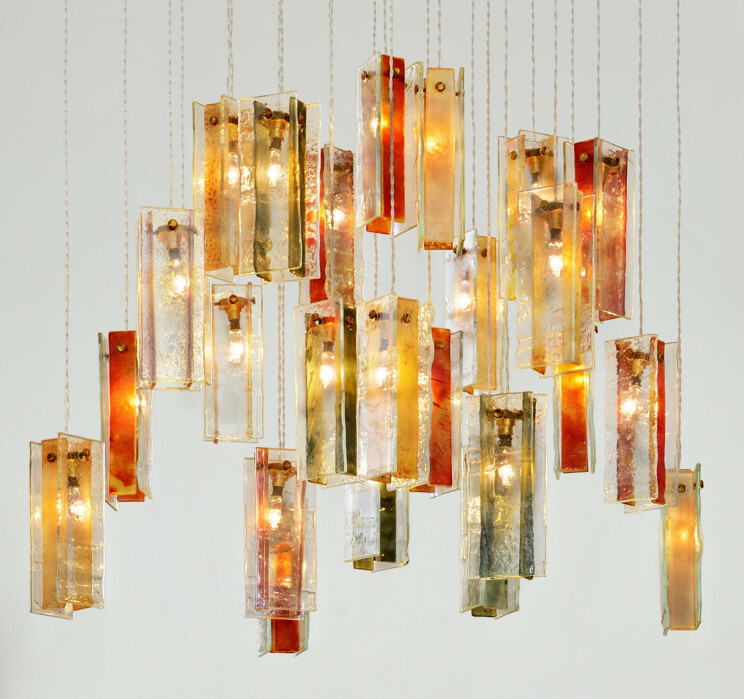 This size of the chandelier is also customizable to suit your space. Choose the width and the length for a perfect fit. 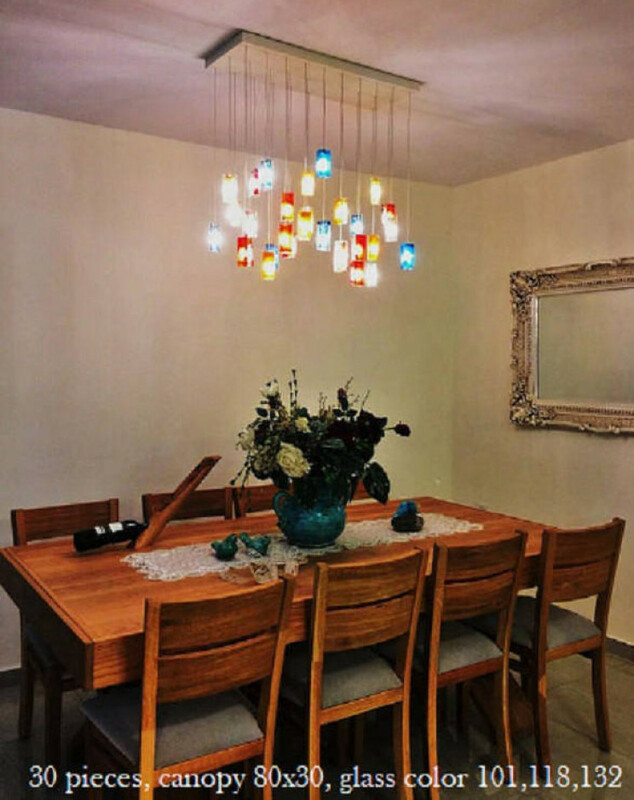 The number of strands that you chandelier will feature is also up to you. 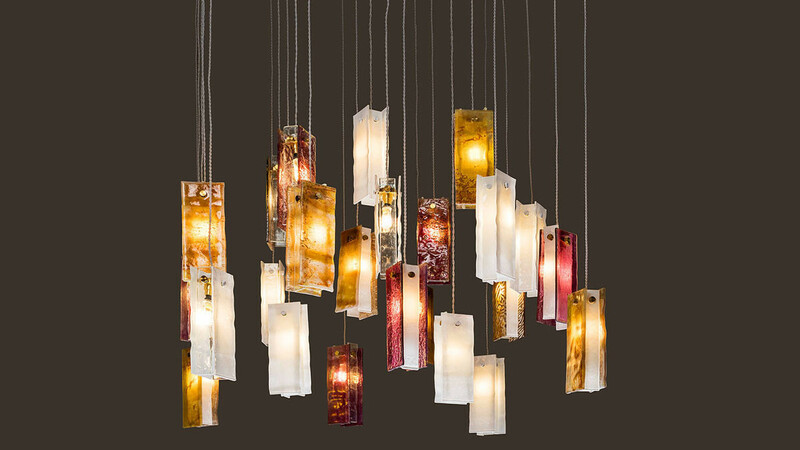 Your lighting piece will be a one-off that is unique to you.